Doody's book first text to covers instruments vital to nuclear medicine at a technologist a (TM)s level. It provides students with concise and straightforward information pertaining to the operation and use of each instrument. It is specifically designed to prepare students for typical scenarios and potential pitfalls they may encounter throughout their careers. 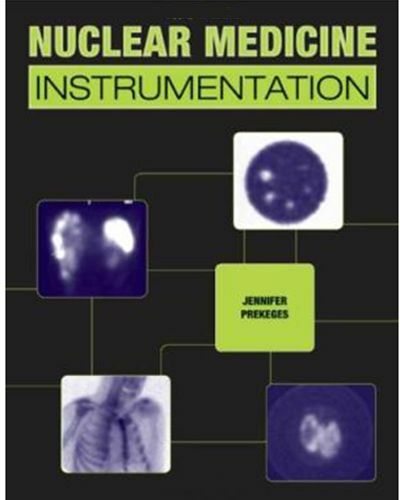 Nuclear Medicine Instrumentation is broken into four main parts, a Small Instruments a Gamma Camera a Single Photon Emission Computed Tomography (SPECT) a Positron Emission Tomography (PET) Topics discussed include factors relating to Radiation Measurements, Quality Control of Gamma Cameras, Basic Principles and Image Display Techniques for Single a 'Photon Emission Computed Technology 'and much more.